Hi there, I really like your materials! I’ve noticed this exercise the pin yin computer pronounciation is not correct, not sure if you are aware of it. Best regards. 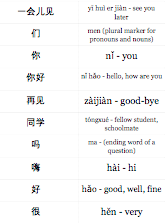 The computer cannot pronounce the pinyin. It says, ” Z, Z,” for “xiè xiè.” Is there a way to fix this? I really like the activity and want to share it with my students if so.